Australia's most affordable smile makeover! Where Can I Get GlamSmile? Welcome to our Blog! Here you will find the latest news and updates about the world of GlamSmile, porcelain veneers and cosmetic dentistry in Australia and around the world. A blog is like a virtual noticeboard, and is a great way to stay informed over the internet and keep up to date on all of our exciting developments. Please check back regularly or bookmark this page. We are also on Facebook, where you can connect with other fans of GlamSmile! Enter your postcode to find a GlamSmile participating dentist near you! where can I get GlamSmle? Take the first step towards your beautiful new smile today! 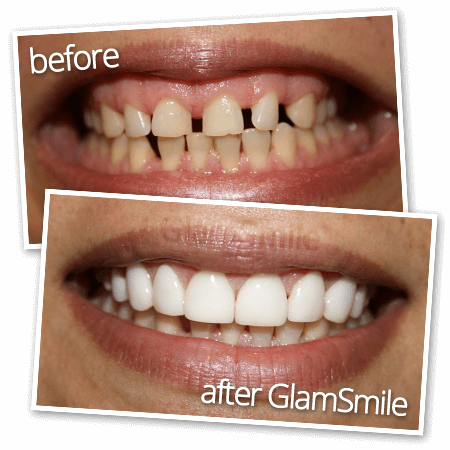 to speak with your nearest GlamSmile participating cosmetic dentist. How is it More Affordable?